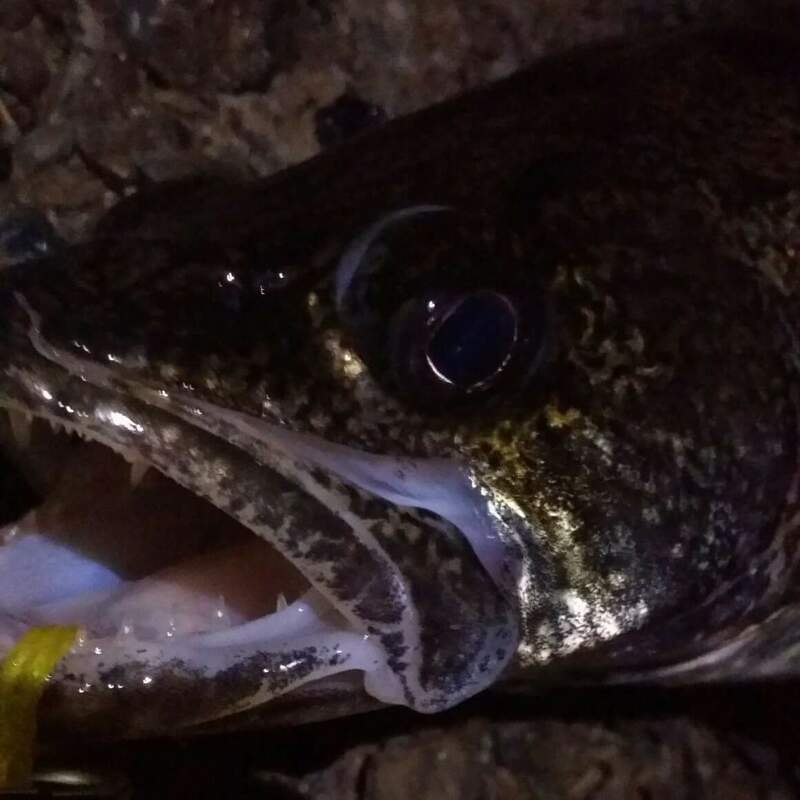 Saugeyes and walleyes are frequently found near shore at night. So you have prepared for your night of fishing. You’ve considered wind direction, as well as the time of year to decide on the best location that has the best odds of success. However, one factor that is often overlooked is food. Other then during the spawn, food is the primary factor of fish location. Baitfish tend to move deeper during the day, and shallow at night. Sometimes they will stay shallow in the day in stained water. At night, they can be so shallow that you can see them from the bank. If you see baitfish along the shoreline at night, you’re odds of success are way better. Listen closely and you may hear them swimming swiftly and frantically along the surface. If you hear this, immediately start casting. There’s a good chance that marble eyes is beneath the surface trying to get a meal in. Sometimes you can even hear these toothy predators break the surface as they stalk their prey. One common mistake people make when this happens is casting too far. When fish are this shallow, keep your casts within the proper shallow depth to keep your presentation in the strike zone longer. Be patient. A typical feeding period can be as short as only 15 minutes. Being there at the right time is the key. In conclusion, some of the largest fish are caught at night, and long hours along the shoreline can really pay off. If your lifestyle allows it, take advantage of this strategy for catching saugeyes and walleyes at night. For updates on future posts, like our facebook page Masters of Saugeye.